The Perodua Car Owner Manual PDF above the page. 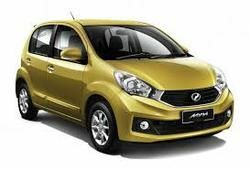 Malaysian automobile company "Perodua", specializing in the production of economical budget machines for the developing market of the country, is one of the new brands that managed to achieve recognition and success. At the origins of the company, established in 1992, there are several government consortia of Malaysia and Singapore, as well as the Malaysian units of Japanese companies "Daihatsu" and "Mitsui." In 1994, the production of components for Daihatsu cars began at the brand's plants, which, after a successful break-in, went on sale in the Malaysian automobile market under the Perodua brand. In 2002, the company opened its own research center, which began developing unique models based on Daihatsu technologies. In addition, in 2003 a plant was opened for the production of power units developed by the Toyota concern, the owner of the company Daihatsu. Thanks to this solution, Perodua was able to focus on the development of cars, expanding its range of models to 8 different models in 2008. In the same year, the supply of brand cars to all major automotive markets in the Asian region began, including the Middle East as well. However, in 2011 the company's lineup was reduced to three models, and the rest of the cars were again sold under the brands "Daihatsu" and "Toyota". 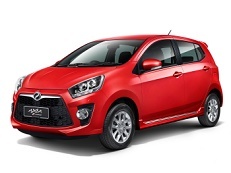 In 2012, Perodua became the largest automaker in Malaysia, surpassing another government concern, Proton.